La Folia is also a professional freelance orchestra drawing on players of the highest calibre, with a long tradition of performing and commissioning instrumental music. Born and educated in Northampton, Daphne studied the violin from an early age under Alfred de Reyghere and later at the Royal Academy of Music with Sydney Humphreys and Frederick Grinke. Following a short period in Canada with the Calgary Philharmonic Orchestra, where she was also a founder member of the Philharmonic Quartet, she returned to England to freelance with the Halle, the Bournemouth Symphony Orchestra and the London Festival Orchestra, with whom she toured the Far East, South America and many parts of Europe. Daphne is much sought after as an orchestral leader, chamber music player and teacher. She is both leader and artistic consultant to the management team of La Folia (formerly Sarum Orchestra) and in this capacity has worked with many leading animateurs on music projects for primary school children and children with special educational needs. She works as a teacher and coach with Superstrings music school in Wiltshire, an organisation that encourages children aged 4 to18 to play chamber music and string orchestral repertoire on both a weekly basis and on holiday courses. Daphne has worked extensively with SAGA holidays to provide specialist music appreciation weekends in England and Italy. 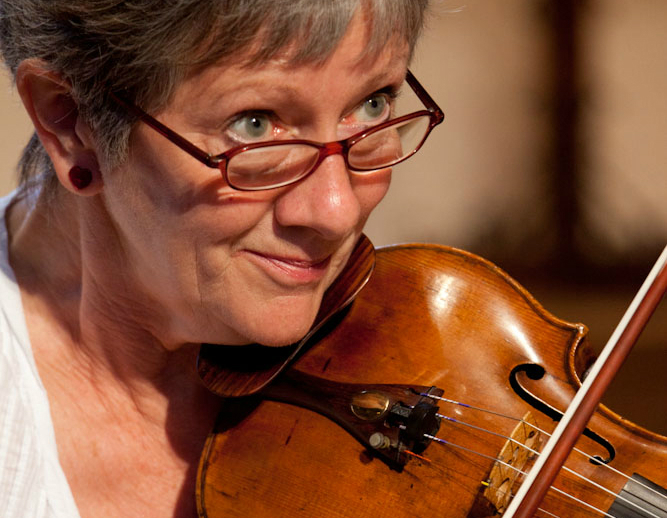 Daphne is a member of the Edington Ensemble with Elizabeth Anderson, Moira Alabaster and Nigel Clayton and a founder member of the Eberle Quartet with Jennifer Gibbs, Moira Alabaster and Muriel Daniels. Eberle give recitals, workshops and master-classes in England and Europe, and have recorded to critical acclaim on the NAIM label.